Known for her deep voice, Amy Jade Winehouse left a tragic ending with his sudden death in July, 2011. Her fans had a final hope to get her unheard songs as soon as her third album demo releases for the public. However, the news confirming that there won’t be any posthumous material from the late singer’s collection has saddened her fans around the world. Although those destroyed tracks are never to be heard now but the nature was already clued during an interview with Stefan Skarbek in 2011 who admitted that he worked with Amy on five shared songs however the final versions were ultimately Universal Music’s possessions. According to the Stefan Skarbek, he did songs like Monkey Boy which were just fun and lighthearted songs. His biggest thing with Amy was she’d come to the studio in London and she’d always come in with some wild tales, boyfriend troubles or things like that. He told Rolling Stone magazine. The English singer was famous for her electric blend of music varieties such as soul, rhythm and blues, and jazz along with reggae. She was just 27yrs old when she left the world while her record Lioness: Hidden Treasures featuring outtakes came out after few months of her death. And now with her third album demo wiped out, there is nothing more to come publically from the late singer. Amy even after her demise lives as one of the most inspirational young singers of her age group. During an interview with Q magazine, Lay Me Down singer Sam Smith said ‘Amy’s debut record ‘Frank’ continues to influence my music this day. 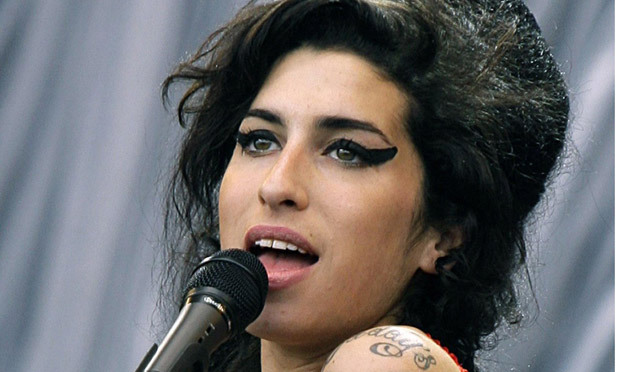 According to the singer, there’s no doubt that his album has changed his life and it would have to be Amy Winehouse’s first album, ‘Frank’. He said that he could still remember hearing it in his father's car when he was 11 on the way to school. He said it totally blew him away as it was really so honest and emotional reminding him that he needed to try and be that honest in his own song-writing. ‘I never got to meet her, but she'll always be an icon." Sam added.